Joe Drumheller is the name most associated with dynamic compaction throughout the United States. 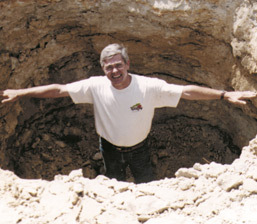 Prior to founding Densification, Inc. in 1993, Joe co-founded the geotechnical specialty firm GeoSystems, Inc. in 1983, and was a Senior Geologist with Law Engineering from 1973 to 1983. Joe earned his Bachelor of Science degree in Geology from Virginia Tech in 1968. 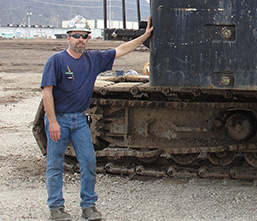 Since becoming a contractor in 1983, Joe has successfully completed over 700 dynamic compaction projects throughout the United States and Caribbean, making his experience second to none. In addition to his project-related experience, Joe has also authored or co-authored several ground improvement papers, including the influential ASCE Geotechnical Special Publication No. 69. on Ground Improvement, Ground Reinforcement, and Ground Treatment. Rob started with Densification, Inc. as a project superintendent in the mid 1990’s after receiving a Bachelor of Science in Civil Engineering from George Mason University. Since then, he has held positions as engineer, estimator, and project manager. Rob has successfully managed over 300 Dynamic Compaction projects of all sizes in 35 states, resolving constructability issues on uncontrolled fills, liquefiable soils, mine spoil, landfills, sinkhole-prone soils, and collapsible silts. Chris joined Densification, Inc. in the role of Chief Engineer in 2012, and was promoted to Vice-President in 2013. 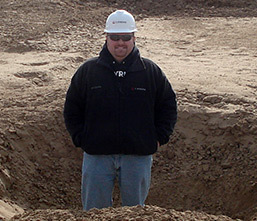 Chris is a licensed Professional Engineer in over a dozen states, and serves as the lead geotechnical engineer for the firm, among several other roles. 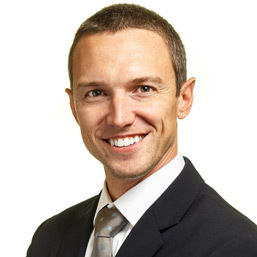 Prior to joining the firm, Chris spent almost 14 years as a geotechnical consultant with Langan Engineering and Environmental Services, primarily practicing up and down the east coast, particularly within New Jersey, New York, Pennsylvania, Connecticut, Massachusetts, Virginia and North Carolina. Chris earned his Bachelor of Science in Civil Engineering Degree from Purdue University and his Master’s Degree in Geotechnical Engineering from Virginia Tech. His geotechnical consulting experience includes design of shallow and deep foundation systems; evaluation of earth slope stability; design of retaining walls; design of ground improvement programs; geotechnical instrumentation monitoring, and extensive construction oversight.